After exploring Australia, it was once again time for Elyx to move on and get ready for the next visit. This time, the UN digital ambassador traveled all the way to Belgium. 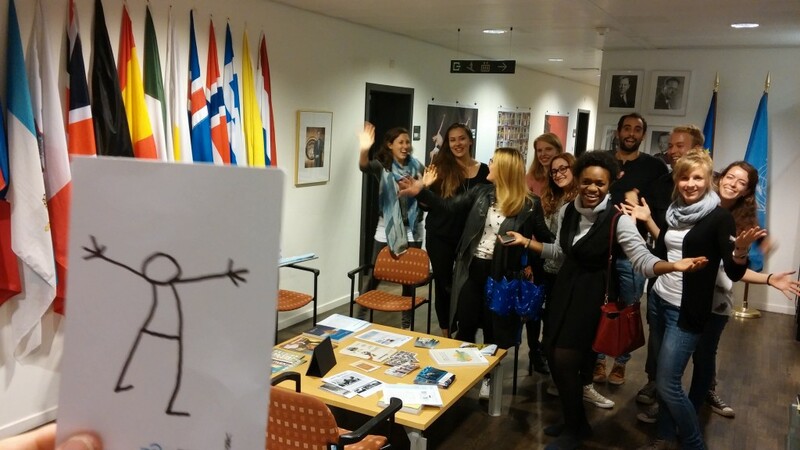 Elyx arrived in Brussels early in the morning and although the digital ambassador was a bit exhausted from the long trip, Elyx was very happy to see the representatives from UNRIC (the UN Regional Information Centre for Western Europe). The representatives took Elyx with them to their office and on the way they told the ambassador all about the UN in Belgium. As the EU capital, most of UN agencies are represented in Brussels: FAO, ILO, IOM, OCHA, OHCHR, UNDP, UN WOMEN, UNCDF, UNESCO, UNFPA, UN-Habitat, UNHCR, UNICEF, UNIDO, UNISDR, UNOPS, UNRWA, WFP, WHO, WMO, the World Bank and of course UNRIC. Elyx also learned that there is a special UN University in the historic city of Bruges. It is important for the UN to be close to the European Union offices in Brussels in order to maintain the UN-EU partnership. This partnership began in 2004 and aims to save and improve lives all over the world. The European Union supports UN work through contributions to a broad range of UN activities, giving 984 million Euros in 2014. When they arrived at the UNRIC office downtown, many of the UNRIC interns were impatiently awaiting Elyx’s arrival and they welcomed the digital ambassador with open arms. At the office, Elyx learned that UNRIC is the only UN regional information centre in the world. The office opened in 2004 and replaced 9 existing UN information centres in Europe. Today the centre is still organized into nine geographical desks: Germany; France & Monaco; Spain & Andorra; Greece & Cyprus; Portugal; Nordic countries; Italy, Malta, San Marino & the Holy See; Benelux and UK & Ireland. 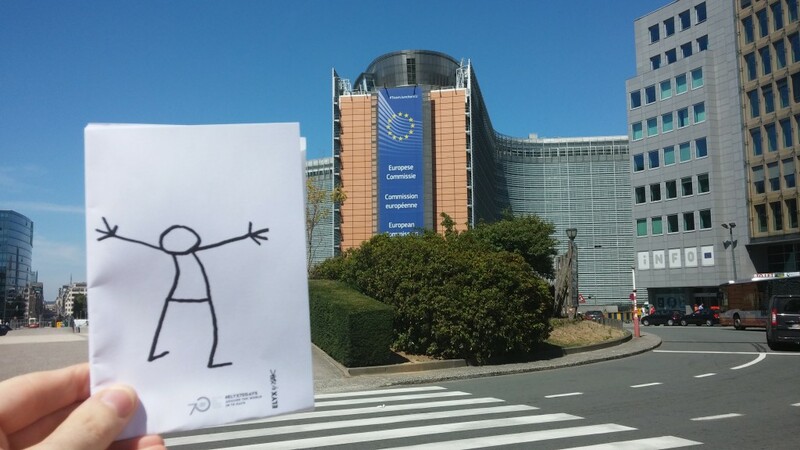 UNRIC’s main task is to spread the UN message in Western Europe, something Elyx highly approves of. With a head full of new and exciting information, the digital ambassador decided to go and discover the city for the rest of the day. Leaving the office through a different exit, Elyx was happily surprised to see that the European Commission was right across the street! 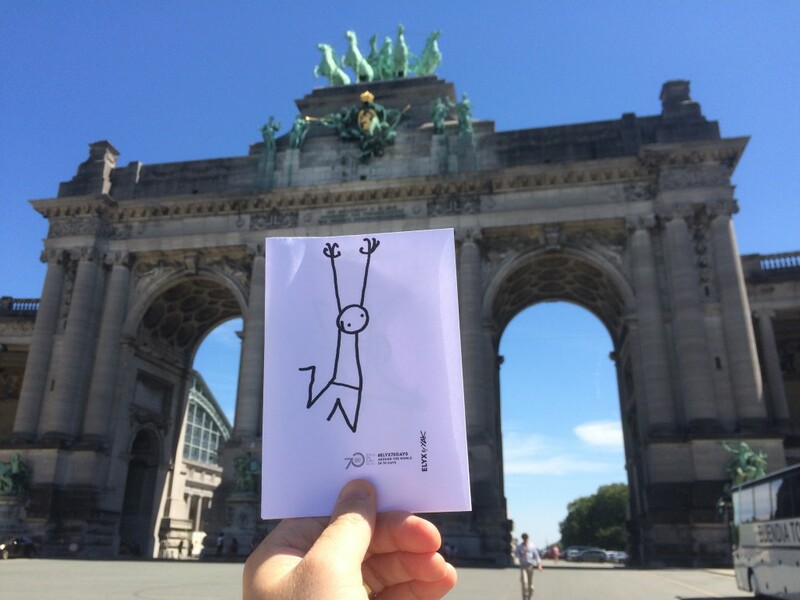 From the European Commission and the European Quarter, Elyx went on to the Parc du Cinquantenaire or Park of the fiftieth anniversary. Elyx liked the park very much and decided to hang around for a while. 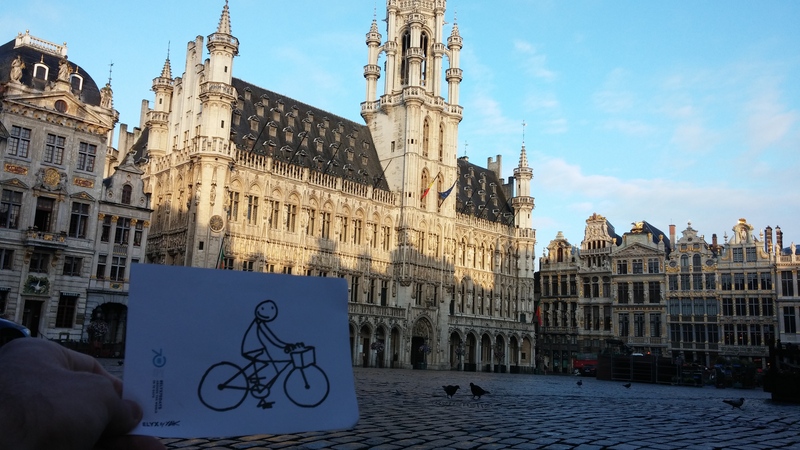 Elyx also took some time to stop by the Grand Place. The ambassador had already heard much about the UNESCO heritage site and really wanted to see it. 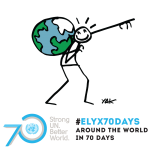 On October 24th the UN Day will be held on this historic square in the centre of Brussels. All that sight-seeing can make you very hungry and Elyx decided to try some typical Belgian delicacies. With a belly full of chocolate, waffles and fries, the ambassador said goodbye to Brussels and left on another adventure.